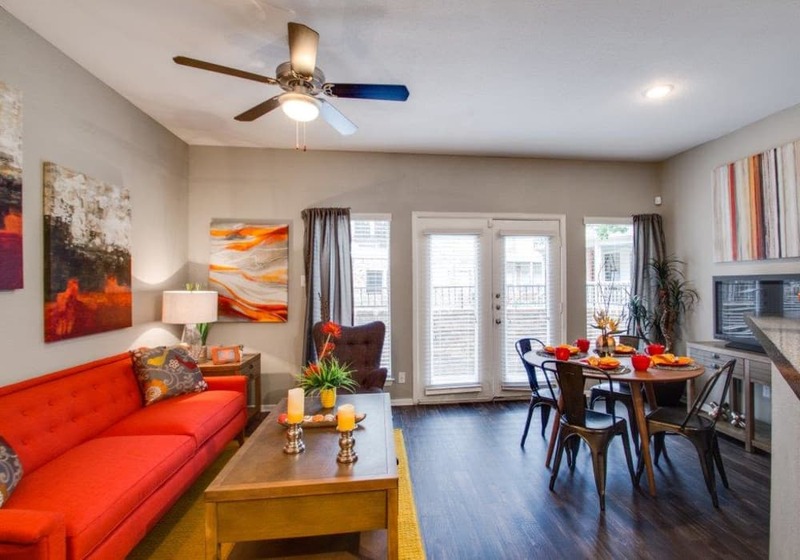 Take your pick of 10 unique one and two bedroom floor plans at Watermarke Apartments in Fort Worth, TX. Options range from a cozy single-level apartment to a spacious two-level townhome. The open layouts range from a comfortable 493 square feet to a roomy 1,055 square feet, so you’re sure to find your perfect space. Our pet-friendly apartments feature newly renovated interiors with thoughtful upgrades like washer and dryer connections and energy-efficient appliances. Open floor plans paired with high ceilings and large windows create a bright and airy atmosphere – a space that will welcome you in and make you feel right at home. When it comes to apartment living, Watermarke Apartments stands out from the crowd. Each of our apartment homes offers style and convenience with extras like walk-in closets, ceiling fans, and high-speed internet access. A fireplace is the highlight of your home and is the perfect place to cozy up with your cat or dog and a glass of wine when the weather turns cool. Additional perks include washer and dryer connections, a private patio or balcony, and fully equipped modern kitchens. Click through the floor plans to see the apartment layouts that offer plentiful closet and storage space. Select the floor plan that suits your style and then give us a call to arrange your tour. We look forward to showing you all an apartment at Watermarke Apartments has to offer.